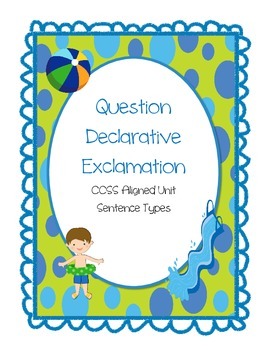 There are anchor charts for three sentence types, exclamatory, telling (declarative), and questions. I did not include commands. There is a sorting game for the sentence types. Print the cards on cardstock and laminate. Students sort the cards into their categories. 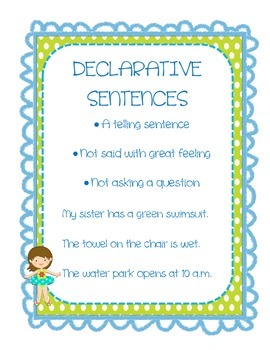 I put header cards for declarative or telling sentences, depending on what you call them. There are also 2 answer keys, one with “declarative” and one with “telling”. 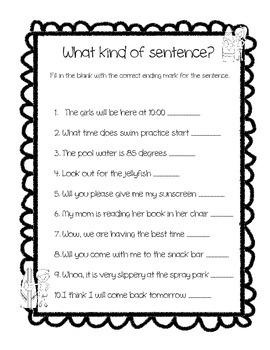 Finally there is a student practice sheet for them to fill in the correct punctuation.